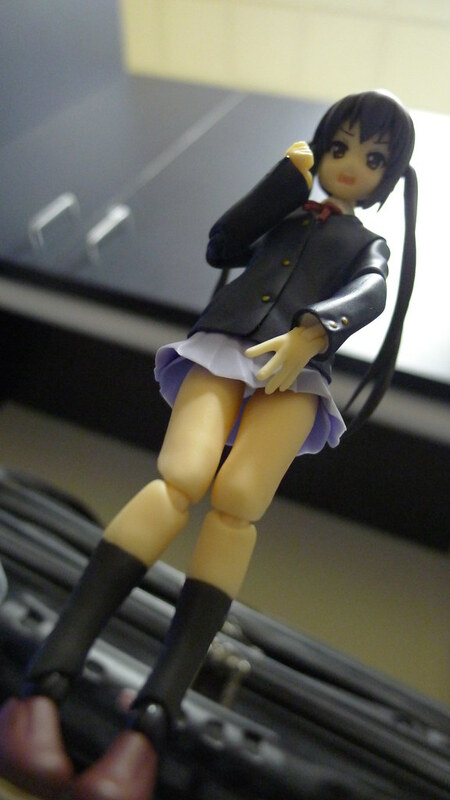 It's been ages since I taken out a figma out and about with me, good thing I got a chance to amend that. 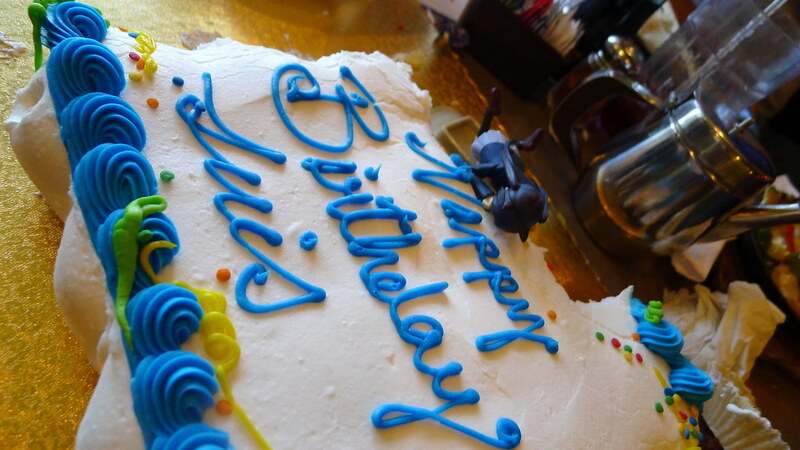 It was exilehero's birthday this past week, everyone, say belated happy birthday! 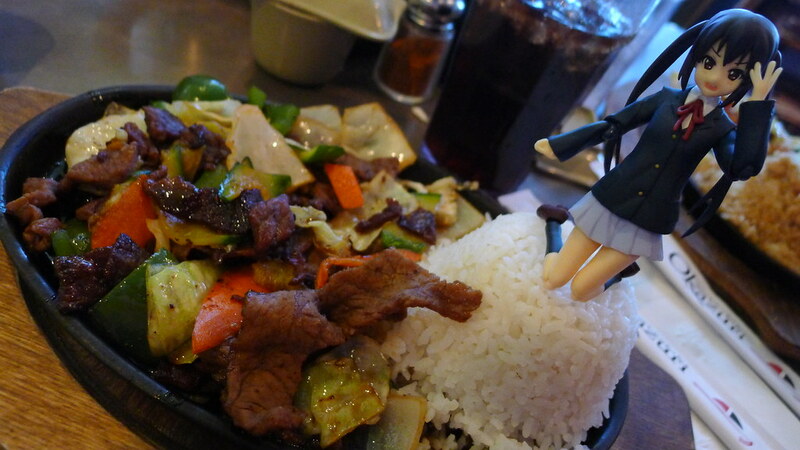 As such our co-workers arranged to take exilehero to a restaurant of his choosing, a nice Japanese place. 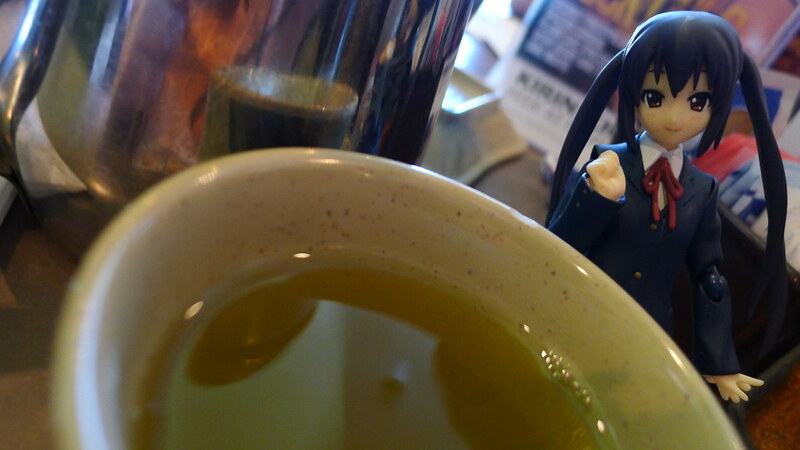 Like any proper American Japanese restaurant they serve you some nice green tea and miso soup. 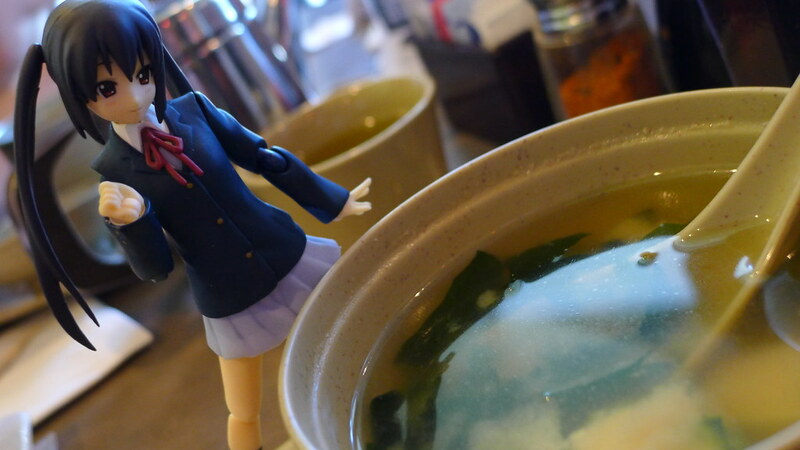 Speaking of which, can't for the life of me come to like miso soup no matter how many times I try it. What about you guys, do you like it? As luck would have it, exilehero got the largest pieces of sushi I ever seen. I found it amusing though, while he is used to me doing the picture taking our other companions expressed their amusement in their end at my antics. "Oh my god! You ripped her face off!" One of our co-workers took this nice birthday cake, it's actually made of cupcakes with a layer of frosting on top. Pretty convenient, makes it easier to eat, no need for utensils or plates. 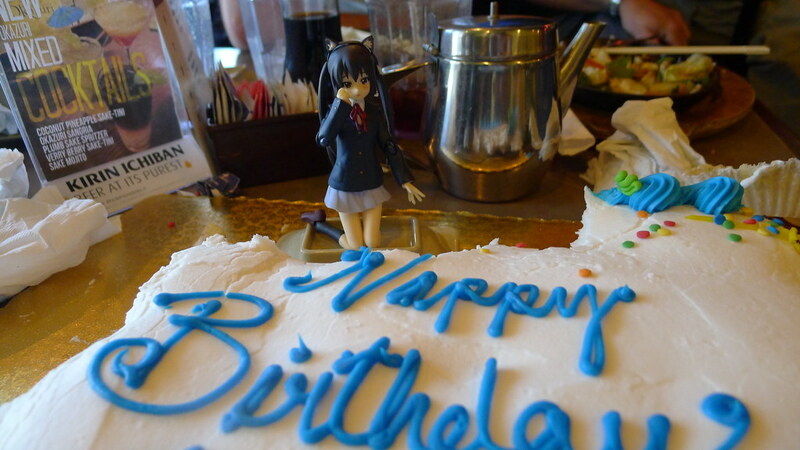 Apparently Azunyan couldn't wait and took a dive for the cake... come to think of it my camera ended with some frosting on it. Like my co-worker put it, I guess it makes the picture sweeter? Afterwards, I was a bit bored while waiting to leave to work so I snapped a few pictures. 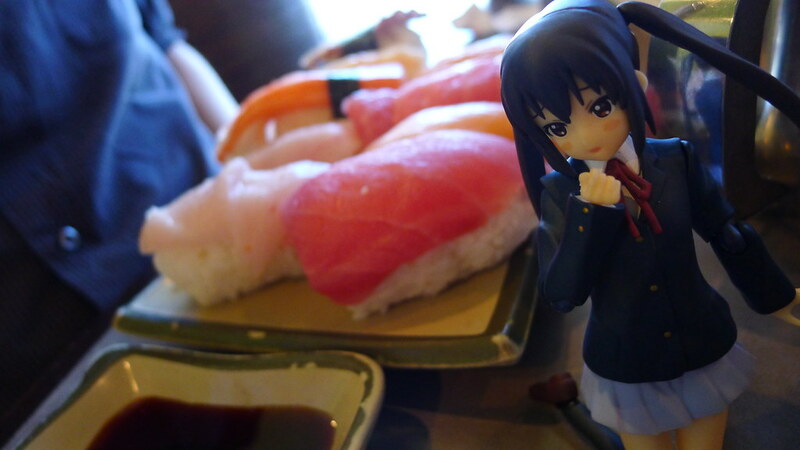 Azusa was not amused to say the least. I almost forgot to mention it, but this is part of a vaguely related series of posts featuring the K-On! girls. We got Yui, and Yui again, some Mugi, Mio with only Ritsu to go now. It was fun doing this kind of picture taking again, even more so since I haven't done it in a while. 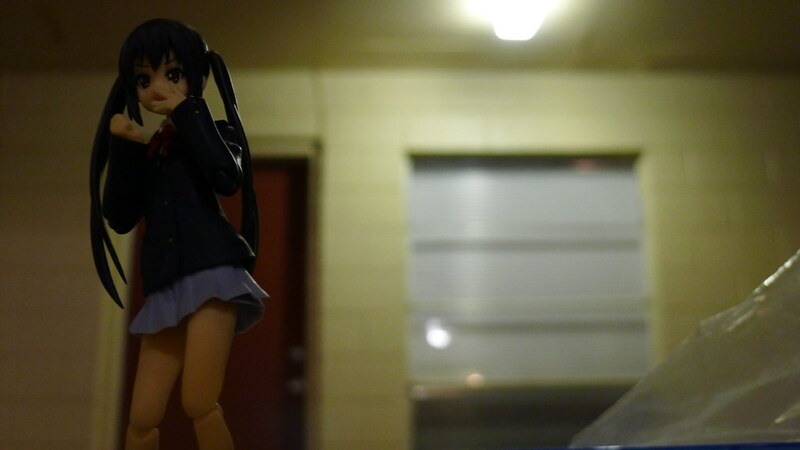 I don't see people taking out their figmas and what not out and about to take pictures lately. I'm not looking in the right place or is it out of vogue now? Anyways, hope the pictures were enjoyable enough. I'll catch ya later peeps!